I swear each holiday with this boy just gets better and better. 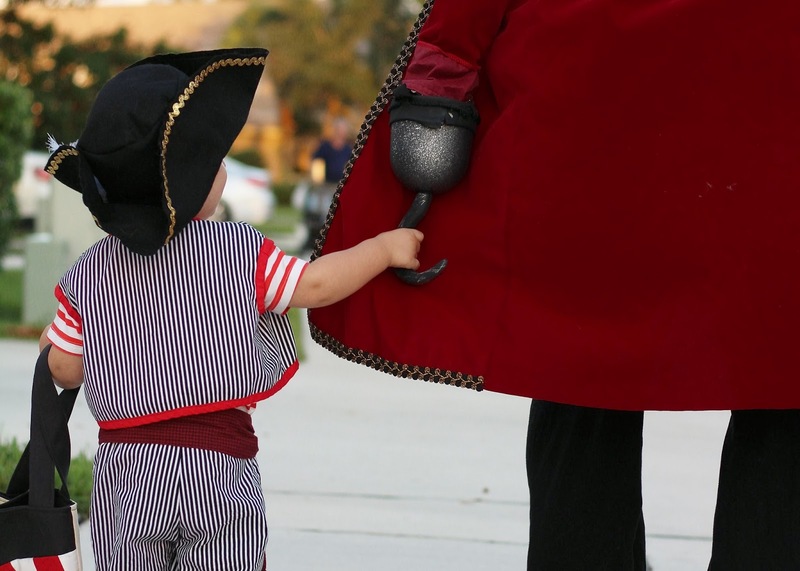 Last year he enjoyed wearing his costume and walking around, but cried every time we went to someone's door thinking that we were dropping him off. This year, he totally got it. 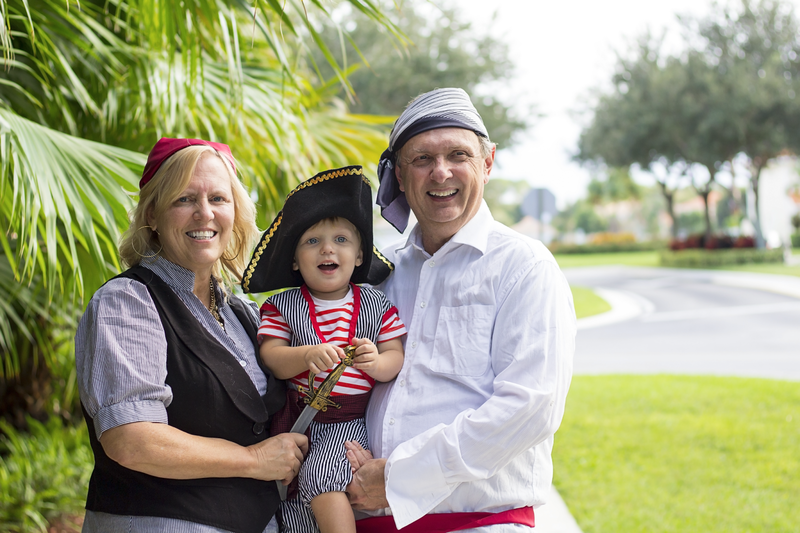 Jacob's been obsessed with pirates for quite some time now. 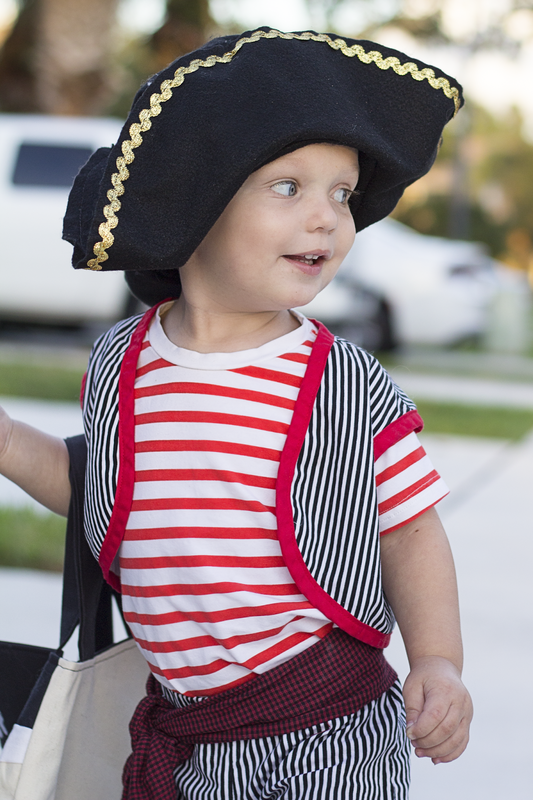 Any man wearing a bandana or brimmed hat is immediately labelled as a pirate. 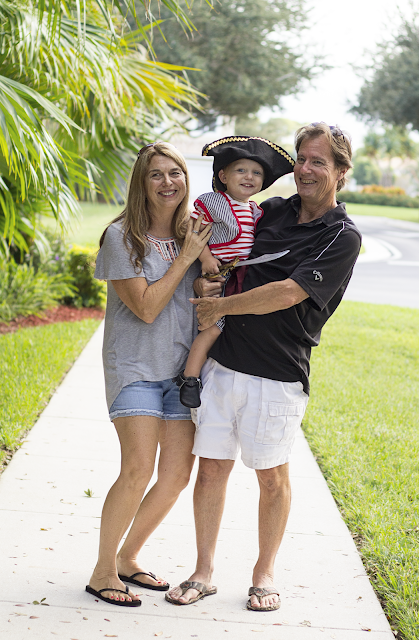 There probably aren't many parents who can say that their young toddler not only tolerated, but loved the dark, chilly, pirate ride at Disney World, but we can. So when it was time to plan out a Halloween costume, it really was a no brainer. 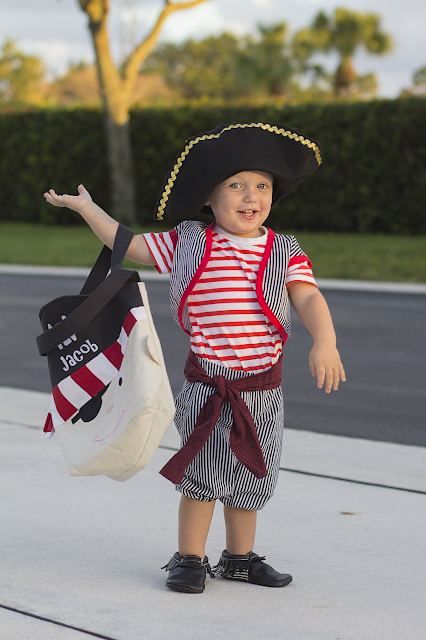 My mom made his vest, sash, and shorts and I added a striped tee we had underneath. 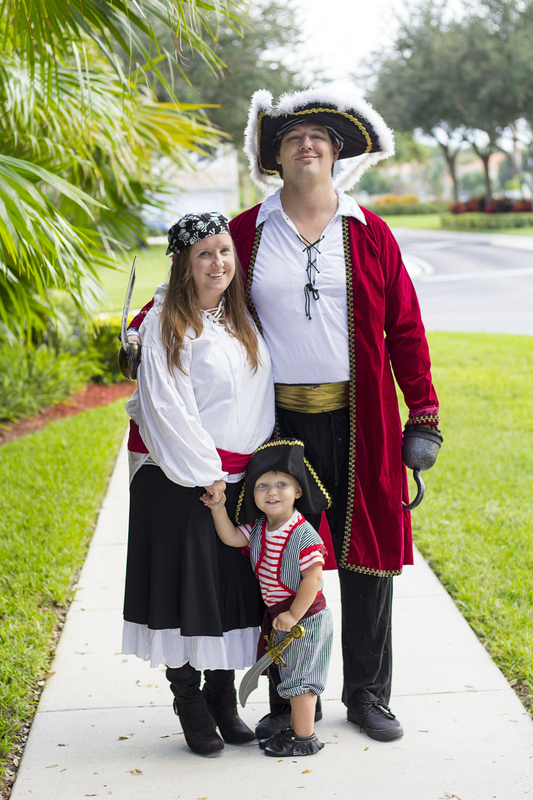 I got his pirate hat off Etsy, and his sword in a pirate kit from Amazon that also included a compass, mask, and dagger. 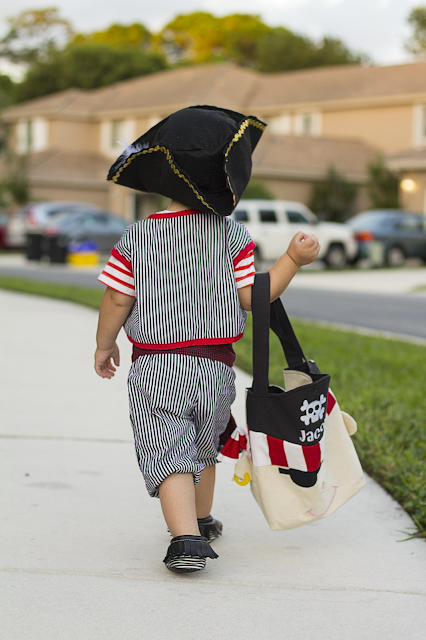 My good friend Jen made his pirate candy tote. 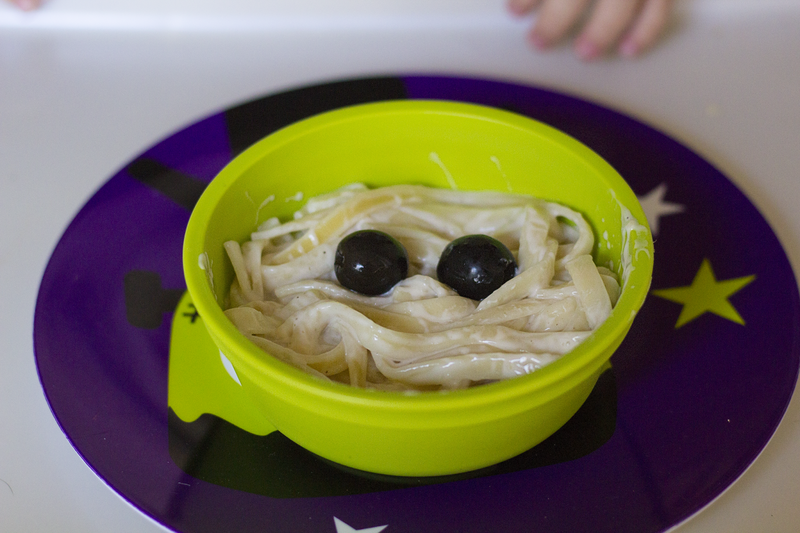 I made him Mummy noodles for dinner before we headed out for the night. Jacob's Grandma, Papa, Mimi and Pop Pop were all there for the occasion which made it all the more fun! Jacob eagerly went from house to house, proudly saying "trick or treat" then promptly shoving his hand into the candy bowl. He was all about choosing his own candy, not taking what was offered. He really enjoyed looking at all the inflatable decorations and skeletons everyone had out, and didn't seem to find them scary at all! 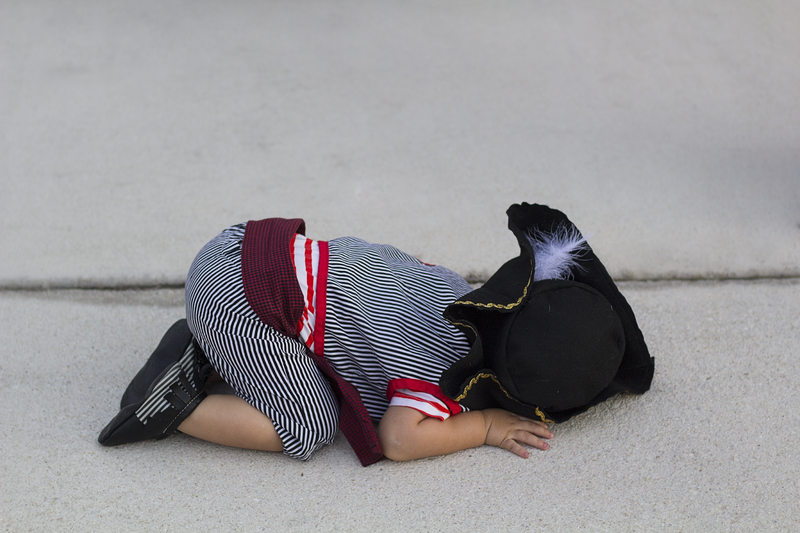 We went to a few trunk or treat events before the big night, as well as Boo at the Zoo, so he had a lot of practice getting it all right. He was seriously a pro by the time Halloween rolled around. Jacob made it all the way down our street, then laid down on the ground and said "carry you?" which means "carry me?" So we pulled him in the wagon the rest of the way. He made it until after 8:30, which is pretty good for a kid who usually goes to bed at 7! He had one VERY full pirate bag by the time the evening was over! Jacob spent the day after Halloween asking over and over "go trick or treat? get candy?" He's super bummed that it's all over. Truth be told, I'm a little bummed too. I know that all too soon he'll race off with a pillow case and a gaggle of friends leaving mom and dad in the dust. 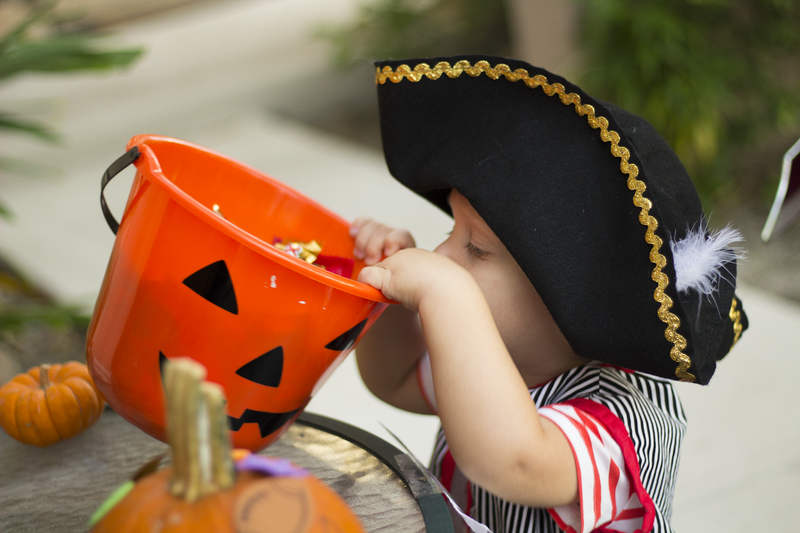 We're going to enjoy holding his little hand and watching his face light up over a giant bowl of sugar for as many Halloweens as we can and cherish every one.